5 factors to consider when seeking family-friendly property for rent in Malta. Before diving head-first into the world of homeownership, many of us prefer renting our first property for several reasons. Anyone who’s already experienced it, can tell you exactly what we mean. Forget stressing over mortgage payments, leave the repairs up to your landlord, and better yet, it’s so easy to move should you desire a different property for rent in Malta. That said, the same goes for all the families out there who are looking for the perfect rental property, however, with a few additional requirements. When searching for a property for rent in Malta that accommodates the entire family, keep in mind the following key factors. Number of kids, your partner, pets and possibly other family members. Be sure to tick all of your boxes to guarantee that you and your family live in a secure and comfortable environment. So, if you’re wondering what to consider when seeking a family-friendly property for rent in Malta, we’ve written this blog to help guide you along the way. 1. Access to schools, childcare, and your favourite local hotspots. Most parents would smile at the idea of having a school and childcare-centre just a stroll away from their property in Malta. It really does make your life so much easier. Gone are all your traffic issues and you no longer need to worry about arriving to work on time. So convenient! 2. Consider your property’s overall location. From public gardens and football pitches to nearby restaurants and shopping complexes, the location of your property and its surroundings can have a huge impact on your family’s quality of life. Living within walking distance to your office and any other places which you frequently visit, will also save you a great deal of time and money in the long run. Sounds like a bright idea, right? It really is. · Be honest about your property priorities for location. · Keep in mind both the area and the community that you want to form part of. · Consider whether you would like easy access to community amenities such as the beach, pools, playgrounds, clinics, etc. · Make your decision based on the needs of your family. · Are you looking for a short or long let in Malta? Choosing the right location is such a vital factor during your rental search and one that should be given much thought and consideration. At Quicklets, we’ve got a wide database of properties around the Maltese Islands to suit your exact requirements. Whether you’re looking for a short stay or a long let in Malta, rest assured that the Quicklets crew will help you land the ideal family-friendly rental property. 3. Choose a property for rent in Malta that is safe for your family. There’s no doubt about it. Your family’s safety is hands down one of the most important factors which you must consider, if not the most important. We’re pretty sure you’ve all heard the saying “safety first” quite a few times before. Well, whoever said it, couldn’t have been more right. Safety first and safety always, especially when searching for a property for rent in Malta. Although several modern developments are continuously being planned around Malta and Gozo, some communities may have been built long before safety and security was even considered. If the property for rent in Malta you’re interested in looks like it was built over 30 years ago, be sure to ask the landlord and real estate agency about a possible inspection and any safety certifications. Also, keep in mind any other safety concerns such as climbing stairs, emergency exits, fire extinguishers, how and where windows are situated, and what type of building security is provided. If you do have very young children, you may want to check with your landlord before undertaking any child-proofing to ensure such property changes are in place. 4. Size and space of the property for rent in Malta. No matter the place, give importance to size and space. That’s right; you definitely need to consider whether the property for rent in Malta is big enough to accommodate your family. There’s nothing worse than renting out a property which is too small, making everyone uncomfortable and stressed out. What’s the point? Extra stress is unnecessary, so just avoid it. While we can think of so many innovative ways for creating space, the overall size of the property for rent in Malta must meet the needs of the entire family. A two bedroom long let in Malta may do the job for a while, but what if you plan on having another kid? For smaller families, a small bedroom for your child may seem legit, but as the family grows, you’re surely going to need more space. Think ahead and plan for the future when choosing a property for rent in Malta. 5. Work with a real estate agency - Quicklets are here to help! For most families seeking a property for rent in Malta, finding a home to live in is probably not one of the preferred ways to spend your day. Taking care of the family is already quite a task itself, and we’re pretty sure you’ve got much more on your plate. So just sit back, relax and leave the real estate business to us. 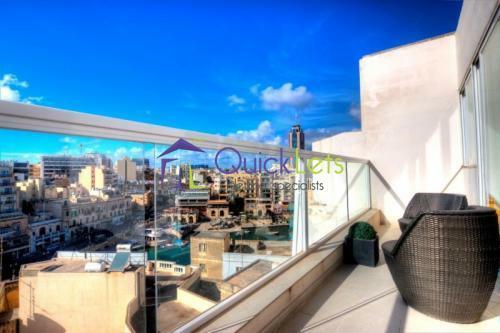 Here at Quicklets, our professional team of real estate agents in Malta live and breathe the local property industry. It’s what we do, and we’re experts at it. Short or Long let in Malta? we’ll take care of it. Location and Size? No problem whatsoever. The best property deals in Malta? You know it. Home to a broad database of alluring properties, available for both short and long let in Malta, and a motivated team of letting specialists to assist you, working with Quicklets is definitely the right choice when searching for the perfect family-friendly property for rent in Malta. Get in touch and try us out. You won’t be disappointed.